Dr. Xu was graduated from Shanghai Medical University (now merged into Fudan University) and has joined the faculty of Dermatological Department of Huashan Hospital since August 1985. 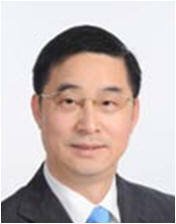 Now Dr. Xu is a professor, doctorial supervisor and Chief of Dermatology Division, Huashan Hospital, Fudan University. Besides, he holds the post of Member of Dermatology and Venereology Committee of Shanghai Association of Chinese Integrative Medicine and Director of Chinese Association of STD and AIDS Prevention and Control. He’s been working on allergic dermatitis, auto-immune dermatitis and sexually transmitted disease for a long time and has published ­more than 10 relevant research papers. He also co-authored several monographs. His research programme, The Effectiveness of Education Intervention in Promoting Use Among STDs Patients, in cooperative application with Clinical Epidemiological Research Center of Shanghai Medical University in 1997, was supported by the International Clinical Epidemiologic Network (INCLEN), USA. In 1998, he held the research project, study on growth hormone, prolactin and their receptors in patients of systemic lupus erythematosus, which was funded by Natural Science Foundation of China (NSFC). A year later, his cooperative research project with Shanghai Jinqiao International Biotech Center and Shanghai Dermatology Hospital, namely study on synthesis of specific syphilis multipeptide antigen and reagent kit for rapid syphilis golden-standard diagnosis, won the financial support of Shanghai Health Bureau. In 2002, he took up the study of HSV-2gD/hIL-2 Mosaic gene Vaccine Construction, a project supported by Shanghai Committee of Science and Technology.